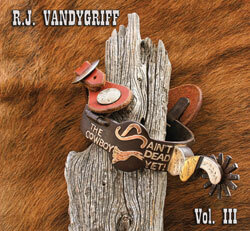 Some voices are meant to sing the songs of the West and R.J. Vandygriff is one of them. The first two volumes of this series are great — but this one raises the bar. His roots reach back to his workingcowboy background, where he was regarded as a pretty good hand. But his talent goes far beyond ridin’, ropin’ and singin’. The title for this series comes from his one-man stage show, where his dramatic flair and comedic genius keep audiences coming back. Five of the 11 tracks here are his own compositions. 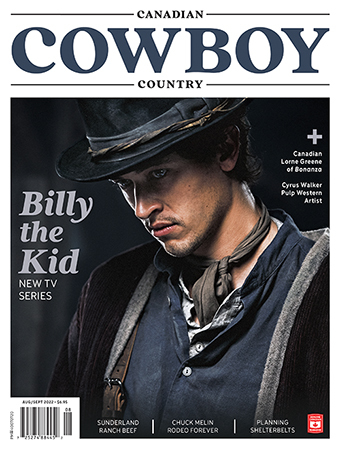 They all have what it takes to keep the spirit of the North American cowboy alive. harmonica — set the perfect backdrop for R.J.’s pure, lilting western baritone. Every track is worth the price; my favourite is Chuck Cusimano’s We Were Cowboys.